Offering a personal approach makes your business stand out from the crowd, as our Wimbledon customer Ben Spector, owner of SpecTronics can attest. Outsourced IT supplier SpecTronics is enjoying sustained business growth, with a host of new client wins leading to a boost in staff and a larger commercial premises. The firm moved into our Lombard Business Park in Wimbledon in January this year and over the summer relocated to a larger unit. This was after doubling its team to four staff. Now the business is planning to move into an even bigger office space, as it hopes to recruit a further two employees in the near future. 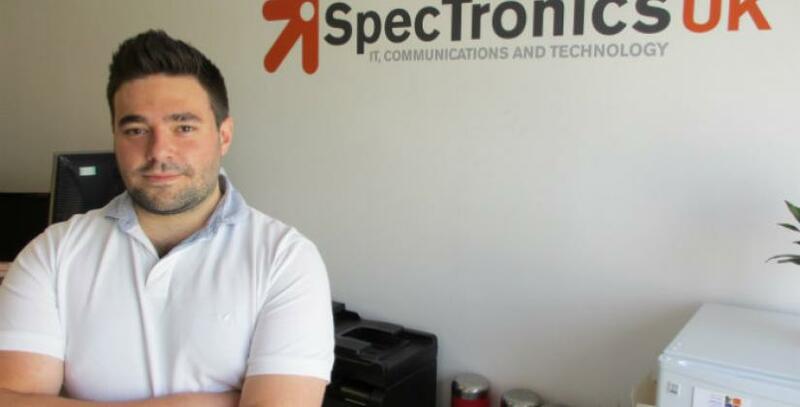 Company founder Ben Spector launched SpecTronics in October 2012 and originally used a virtual office with Bizspace before moving into his first commercial premises. Ben says, “We moved into a small office setup, but after winning some new contracts and expanding our customer base, we soon realised we needed more space. Lombard Business Park is very convenient as it is just a 15 minute commute for me with free parking facilities." It’s a friendly place to work and I also like the flexibility, as I know it is easy for us to take on additional space if we needed more staff, on either a short term or long term basis. SpecTronics UK offers a full range of IT services for businesses and home users, including everything from data recovery, Hosted VoIP and Google Apps to responsive web design and IT management. Ben, 24, has worked with his own IT clients since he was at school, but it was only when he lost his full time job in 2012 that he launched his own start-up business. “It was the best thing that could have happened to me,” he says. I had always planned to have my own business, but I got comfortable being an employee, so losing my job was the push I had needed. To celebrate its business growth, SpecTronics is putting on a special offer, open to all other Bizspace customers. Companies with a commercial property in any of Bizspace's business centres can receive 20% off IT support contracts. For full details of the offer, contact SpecTronics directly on 03333 444 110 or email [email protected]. Lombard Business Park features a mix of offices, light industrial units and workshops with excellent transport links for South London. The centre’s main building has an attractive indoor courtyard, where customers can take a break to have lunch or network with other businesses. The centre’s two meeting rooms can be hired by the hour. For more information contact Business Centre Manager, Nirav Patel, on 020 8544 0500.